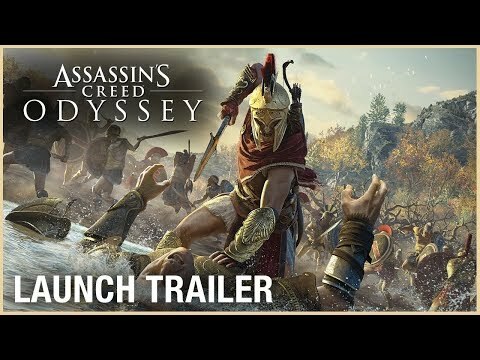 Assassin's Creed Odyssey was released on Xbox One 199d ago in the US and the UK. Based on 12 Assassin's Creed Odyssey Xbox One reviews, Assassin's Creed Odyssey gets an average Xbox One review score of 87. The score for all versions is 85 based on a total of 46 reviews. A game-world that is truly alive. For me, it’s easily the best Assassin’s Creed game to date, and I can’t wait to keep playing it long after the credits roll. A sensational sequel that's thankfully not a Greek tragedy. Mileage may vary on the story front, but when it comes to gameplay, Odyssey is one the best Assassin’s Creed games to date. Assassin's Creed Odyssey is superb in nearly every aspect. Despite this minor letdown, Odyssey eclipses Origins in practically every way, and is easily the best Assassin’s Creed yet. Assassin’s Creed Odyssey lives up to its namesake. An occasionally scruffy triumph of historical world-building, play and, perhaps most importantly, Grecian character. Odyssey does not revolutionize the franchise, but it's a capable entry that will satisfy fans for dozens and dozens of hours.